Having escaped the self-styled Islamic State thousands of Sunnis are disappearing at the hands of Shia militias. ​Amnesty International says weapons sold by various countries are being used by militias to commit war crimes in Iraq. Weapons sold by 17 countries - including Britain, Russia and the United States - are being used by militias to commit war crimes in Iraq, according to Amnesty International. The Amnesty report focuses on Popular Mobilisation Units, which are a crucial part of the Iraqi government's strategy in fighting ISIL. The Shia militias were officially made part of Iraq's security forces two months ago. As Iraqi forces and Islamic State terrorists exchange lethal fire in the city of Mosul, waves of displacement are fast rising, as is uncertainty. Local inhabitants have grown increasingly desperate as their needs are invariably deferred, by state inaction and underfunded humanitarian agencies. ​Families are digging their own graves in deserts to offer family members shelter from the unforgiving desert climate. FRB looks closer at the fate of the families affected. The long-awaited official report into the UK's involvement in the 2003 Iraq War - known as the Chilcot Inquiry - is being published. The United Nations says up to 90,000 civilians could be trapped inside the Iraqi city of Falluja, which has been under IS control for more than two years. Iraq’s forces have heralded military operations in Fallujah a success. The aftermath however, is fuelling one of Iraq’s largest humanitarian disasters. As numbers of those displaced rapidly mushroom, solutions are yet to be voiced by Iraq’s cash-strapped government, whose economy is crumbling under the weight of its inflated budget deficit. ​Fresh crimes have been reported in two newly liberated areas, near Fallujah, Saqlawiyah and al-Garma. Militia groups directly commanded by Iran’s extra-territorial Qods force, are at the heart of these claims, now authenticated by rights groups. ​FRB’s latest report looks closer at developments and brings to you the accounts of those who survived the ordeal. As Iraqi forces and state-sponsored militias shuffle from one town to the next, liberated towns are being emptied of their inhabitants. Women and children have been helped to safety by state forces, but the men are nowhere to be seen. 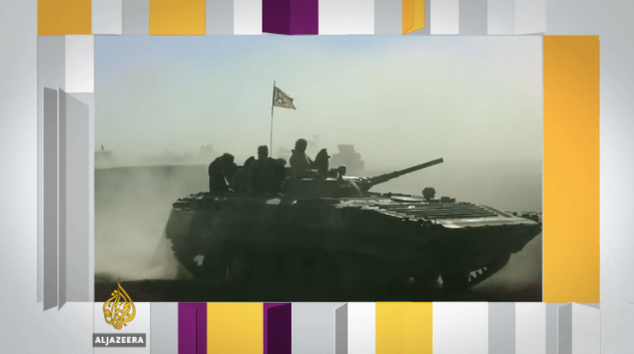 FRB visits the latest military developments in Anbar province, and the case of the missing men. A week into 'Operation Retake Fallujah' and heavy pummelling of the city continues. Shia militias leading the battle are edging closer towards the western town. Garma residents have been evacuated from the area, but many more are reported missing.